Abdullah is admitted to practice in Jordan and he is a member of Jordan Bar Association. He holds a bachelor of Law degree and also received a Master of Laws degree LL.M (International Commercial Law) from the University of Derby, in England, United Kingdom. 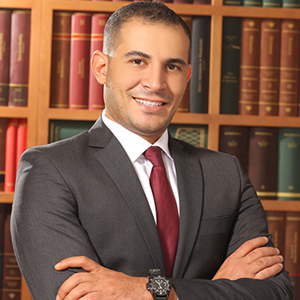 Abdullah specializes in a wide range of areas ,and brings to the firm years of knowledge acquired through extensive experience in various areas, covering real estate’s ,dispute resolutions and commercial and criminal litigation, company formation, legal advice, construction, labor laws, Maritime, Aviation, Transport and intellectual property. Abdullah is a bilingual Lawyer (Arabic & English).